writing | "Granny Beads and Grocery Store Feet"
Oh god what have I gotten myself into now? Okay, FINE. Y’all talked me into it, mostly because I’m tired of hearing it! So November is National Novel Writing Month or “NaNoWriMo” to the initiated and since all one has to do is sign up on their website, which I did, I suppose I’m one of the initiated. I’m also one of the terrified. I’ve never been much on challenges. Someone would say, “I dare you to ____,” and I’d politely decline. My reasons ran the gamut from inability to fear to outright cowardice, but the results were the same. I’d be branded a chicken, but I managed to avoid broken bones, road rash, and grounding for my entire childhood and teenage years so I’m not complaining. So, I’m taking on NaNoWriMo. The challenge is to turn out a rough draft of a NOVEL in thirty days, beginning November 1st and ending Midnight on November 30th. My biggest worry is the stories people love me to tell and write so much are not eligible for this contest. Under the rules, those constitute a “personal memoir” and that genre isn’t allowed. Instead, I’m supposed to produce “a work of fiction with a minimum of 50,000 words within the 30 days from 11-1-2013 to 11-30-2013.” Of course, it for memoirs to be disallowed since I’ve got a person or two still to pass away before I could write EXACTLY what I want to say and not catch hell from someone. To give you a little perspective, Fahrenheit 451 by Ray Bradbury is 46,118 words, Kurt Vonnegut’s much-lauded and loved Slaughterhouse-5 is 49,459 words, and that bane of the existence of American Lit high school students everywhere — The Great Gatsby — weighs in at 47,094 words. By contrast, HP and the Philosopher’s Stone, the first and shortest of the Harry Potter series is 77,325 words, my favorite novel — To Kill a Mockingbird has 99,121 words, and Tolstoy’s Russian tome War and Peace tips the scales at a heartbreaking 587,287 words or 37,140 MORE words than the entire Lord of the Rings PLUS The Hobbit. Looking at the word count next to those paragons of fiction, 50K doesn’t seem like anything nearly insurmountable, but I know when I sit down and look at that blinking cursor taunting me from the top of a blank screen, 50K words are going to be magnified. I figure it’s a lot like eating calamari, sure, that bite doesn’t look very big, but when you pop it in your mouth and start chewing, it grows exponentially! 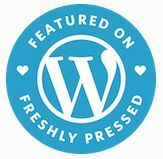 I look at it as 50 of my typical 1000 word blog posts set end to end. That works out to around 1.6 blog posts per day . . . EVERY DAY instead of my usual schedule of three or four posts a month. I’m not thinking this is going to be easy. But, to quote Julius Caesar as he stood by the cold rushing River Rubicon on January 10, 49 BC, “Ἀνερρίφθω κύβος” or “Let the die be cast!” If I’m going to write a book, I may as well do it in November. I have a couple of ideas I’m going to be whittling down over the next few days, but if any of y’all have something you think I could knock out of the park, be sure to let me know in the comments or drop me an email. In the meantime, love y’all, and keep those feet clean! 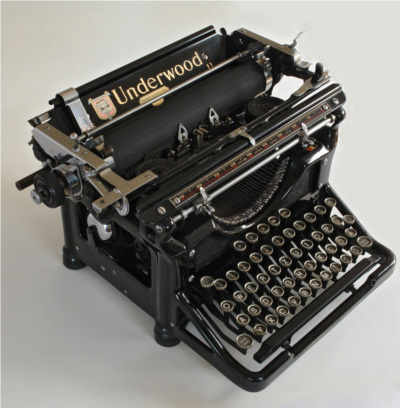 Tool #1 for writing the great American novel. People have been asking me when I was going to write a book ever since I was in junior high school. Some of them claim I have a way with words perfectly suited to a novel while others who have heard me tell stories throughout the years say I need to get them written down. and Tool 2 for writing the great American novel. However, since I prefer a happy marriage to fame and fortune and walking upright hangover free to lying on the bathroom floor with an ice pack, a glass of ginger ale, and a heart full of the-morning-after regret, I have been a teetotaler for nearly twenty years. 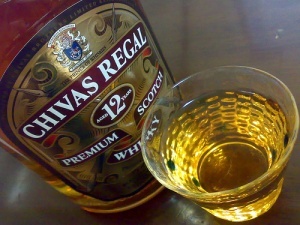 Understand please, I have no quarrel with the fruit of the vine, the clear nectar of the potato and agave, or the golden honey of the oaken barrels; in fact, once upon another lifetime, I made good acquaintance with Messrs. Jim Beam, Jose’ Cuervo, and the Lynchburg Legend himself, Jack Daniels. I’m afraid, however, that we all got along far too well and the good gentlemen simply didn’t know when to leave and I hadn’t the heart to throw them out. We have long since parted company, however and since I’ve no desire to tempt fate or further trash my liver, I willingly choose to forgo the traditional lubricant of the creative gears of the American novelist. Of course, the other — and more reasonable reason — I have yet to grace the Amazon hot 100 (or some such list currently topped by the pornographic 50 Shades trilogy) is much simpler. Writing a book is hard — extremely hard. It takes great focus and discipline and I am woefully lacking in both. Still, riding down the road last week, a great idea for a novel struck me hard. I’d just watched the “Spear of Destiny” episode of Brad Meltzer’s Decoded the night before on the History Channel and the Lance of Longinus had been poking my mind ever since. He’s the guy with the spear. For those who don’t know, the nickel tour of the legend of Longinus goes something like this. 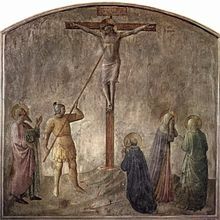 According to church tradition, Longinus was the name of the Roman soldier who stabbed Christ in the side with a lance while Jesus was hanging on the Cross. From there, further traditions variously have Longinus’ blinded eye being healed by a drop of Christ’s blood or his being cursed by Christ to walk the earth (a la the Wandering Jew) until the Second Coming. I adore history from all periods and I’m not picky. I enjoy social and political history just as much as military history. So I thought, “why not write a novel about the adventures of Longius after his contact with Christ on the Cross.” I would take the tradition of him being doomed to wander the world and walk him through time on a series of adventures. I even figured I could make a series out of the idea and have Longinus — usually going by some pseudonym — participate in wars and events from 33 AD all the way to the present day. I tell you truthfully, I was excited and pumped up about this project. It seemed like just the thing to keep my mind off the present difficulties I’m having in multiple areas and maybe, if someone besides Budge, liked the initial book enough, I could contribute a little more to the family income. I was all ready to get the first novel going. I was going to have Longinus as a soldier in Iraq or Afghanistan. He’d get what would be a mortal wound on any other man, but since he’s cursed, he’d recover in the body bag and cut his way out, terrifying the poor morgue worker in the process. Then Longinus would befriend the worker and start telling his story. 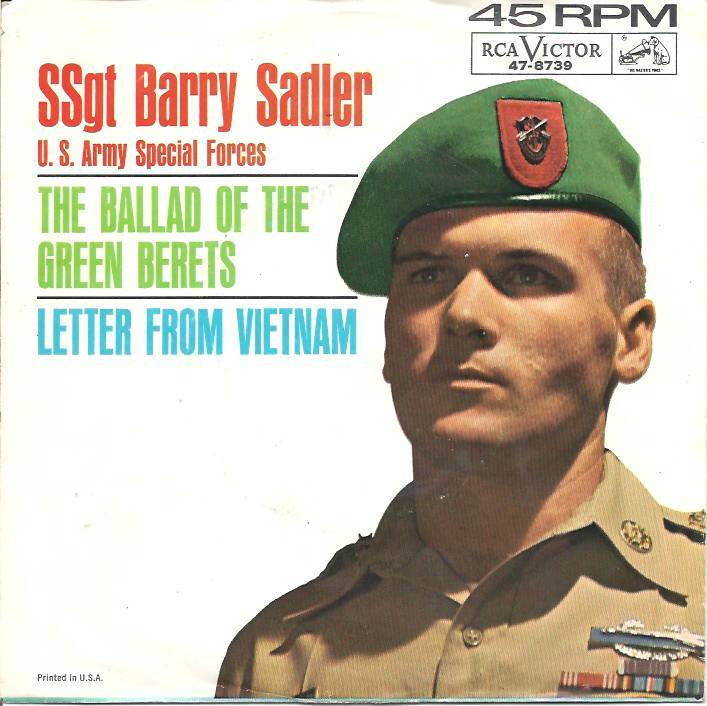 Yep, Mr. “100 men we’ll test today, Ballad of the Green Berets” himself — Staff Sergeant Barry Sadler, Green Beret, Vietnam War hero, songwriter, top 40 artist, and — apparently — author of the first 22 books of the series I had just planned to write. I knew about SSgt. Sadler. His Ballad of the Green Berets is one of my favorite songs from the ’60s. I just had no idea he’d written a book — or 22 — about the character I wanted to bring to life. 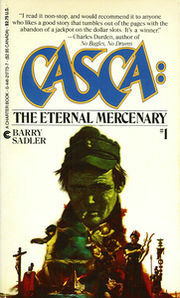 The series has continued, written by other authors chosen by his estate, since Sadler’s untimely and suspicious death in 1988. It’s up to 37 now. Number 38 is coming out in 2013. Wellup, so much for THAT idea!